Today I'm featuring two shops in particular. First I'll give you a brief tour of the clean and simple designs of chingstote followed by a bit of science geek-ery that is the shop molecularmuse. Both of these shops are favourites of mine because they both speak to a different part of my personality. The first to the organized and easy going part of me (or how I'd like to be) and the second to my innate science nerd. I admit it, I'm a complete nerd. When you and your classmates can (and do regularly, or at least enjoy) carry on a conversation that the majority of the population couldn't follow, it means you're a nerd... and, in particular, I'm a science geek. And I love it. It is difficult to describe the beautiful simplicity that is the designs of chingstote. Their use of white space adds a calming and serene element to the overall design, which is complemented by their soothing colour coordination. 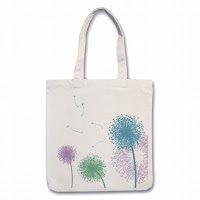 I absolutely love this dandelion tote. The cool colours and clean design make this an easy everyday choice. And all of their totes are similarly versatile and great for everyday. 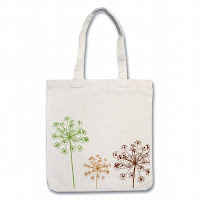 This dill flower tote is another one of my favourites. A great fall tote which can easily stay in rotation throughout spring and summer. Although the main inventory of this shop is tote bags in various sizes, chingstote also offers clothing in both adult and children's sizes. 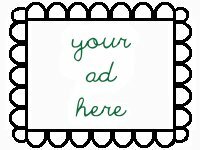 If you see a design you like and would like it on a different size (bag or shirt), just send a convo and they would be more than happy to oblige . 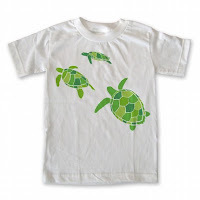 I'm particularly fond of this green sea turtle print ~ I'm tempted to get one for Christmas for my nephew. The bright colours and simple designs make these perfect for children and adults alike. Do check out this shop in order to see all the different designs offered. You're sure to find something you'll love! Now I'd like to give everyone a little taste of science. At quick glance, these pictures might not make sense to some (if not most) people ~ but they are really cute and clever designs!! The shop of molecularmuse takes the outline of key biological molecules (each ball or joint between straight lines represents an atom and each bar connecting the balls are chemical bonds holding the atoms together to form the molecule) and transforms them into wearable jewelry (or glassware - be sure to check out the ethanol glasses!)! 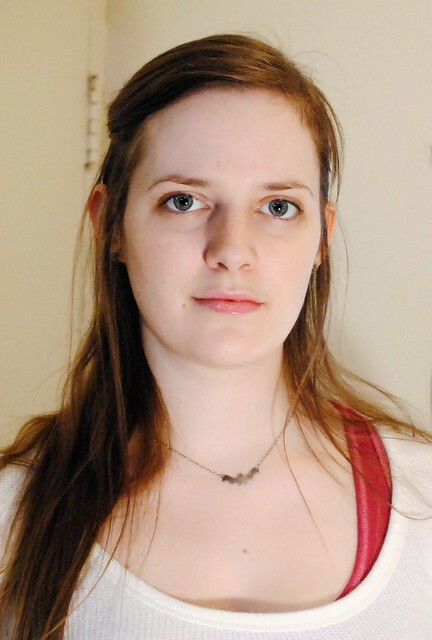 She has also captured the essential functions of these molecules to make relevant and helpful jewelry too. See this necklace? 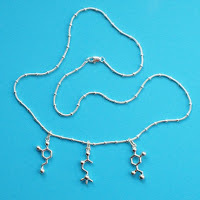 It's called the focus necklace because the three charms are molecules that your body uses to aid in focus. 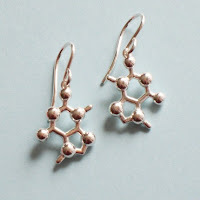 Norepinephrine, serotonin and dopamine are all essential for your body to maintain attention and focus on a task ~ a perfect necklace to wear for studying and writing exams and papers!!! Another one of my favourites is these chocolate earrings. They are a representation of the theobromine molecule, the main component in chocolate. A perfect gift for any chocolate lover, especially those who have taken some advanced chemistry or biology courses!! 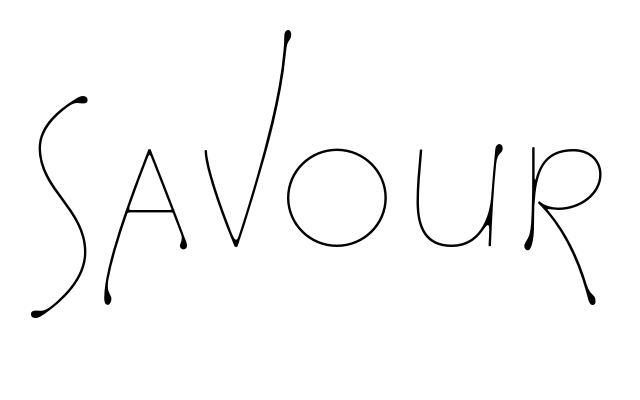 One really cool (at least I think so) thing about biochemistry is that amino acids each have a letter assigned to them. Alanine is an A, proline is a P, etc. This allows biochemists to keep track of the primary structure of proteins (which is a string of amino acids attached together) in the shortest manner possible (since there are 20 common amino acids, numbering isn't convenient). This also allows you to to spell out pretty much anything and make it into a protein (or polypeptide, if it's short like the words molecularmuse has made). So, for example, GEEK has been spelled out in this bracelet, and the separate amino acids representing the three letters G (glycine), E (glutamate) and K (lysine) have been strung together. How cute? How clever?? What a perfect gift!!!! Be sure to check out molecularmuse, especially if organic chemistry has a special place in your heart (or you know of a chemistry / biochemistry / biology nerd ~ they'll really appreciate it! ).